Each year, we pick one month around the holidays and focus on showing appreciation for our customers. This year, November is Customer Appreciation Month at Salon Nouveau in Niagara Falls! When you visit the salon you’ll see a table set up with baskets. We’ve put together a basket raffle that is FREE for all clients to enter. The baskets contain some amazing products and gift items, all hand selected by our Stylists! You’ll find everything from hair styling tools to some of the team’s favorite hair styling products. There is something for everyone and you can pick which basket you’d like to enter to win! You can earn extra tickets to our basket raffle by bringing a non-perishable food item or a winter clothing item to the salon. At the end of Customer Appreciation Month we’ll be taking all these donations to local charities. 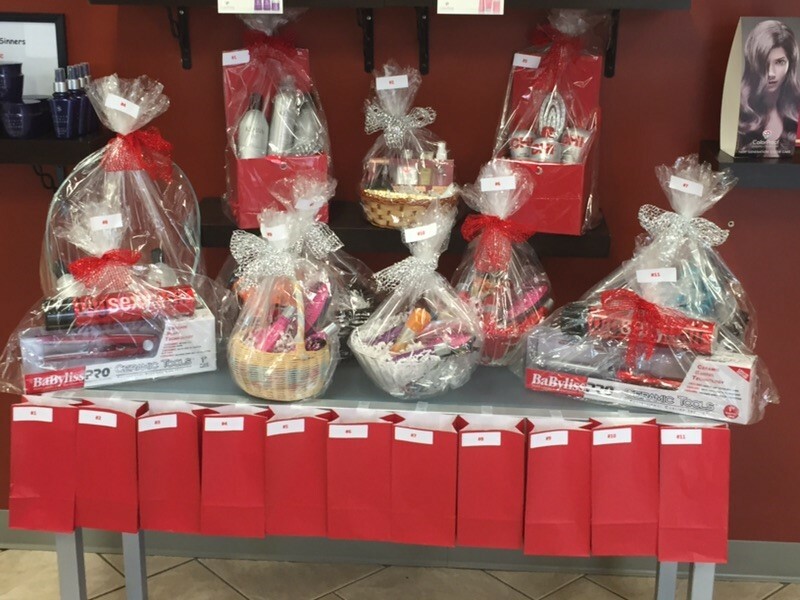 So, schedule your holiday hair appointment by calling 731-2304 and while you’re there, be sure to enter to win one of our great baskets.